Did you know that McDonald’s restaurants are a huge supporter of Ronald McDonald House Charities of Huntington, Inc.? Every year, McDonald’s employees sell coupon booklets, paper hands, and more to help support our Ronald McDonald House. Joselynn Ferguson is one of those employees. For the past six years, she has worked at McDonald’s on Hal Greer Boulevard, right across the street from RMH of the Tri-State. It wasn’t until recently that Joselynn gained a whole new perspective on Ronald McDonald House Charities. On November 2, 2016, Joselynn delivered her son, Les III, at only 25 weeks gestation via an emergency C- section. He was immediately taken to the neonatal intensive care unit, where he was given a 60/40 chance at living. Les III was battling a heart murmur, apnea, and severely underdeveloped eyes. After Joselynn was released from the hospital on November 8, the Ferguson family faced a difficult situation. Even though they lived about 25 minutes away from the hospital in Wayne County, Joselynn asked herself, “What if something happened and we weren’t able to make it?” It was then that a nurse told them about Ronald McDonald House Charities of Huntington, Inc..
Les III went home from the NICU after 73 days. After only 25 days at home, he was readmitted to the hospital with RSV. The Fergusons again stayed at Ronald McDonald House. 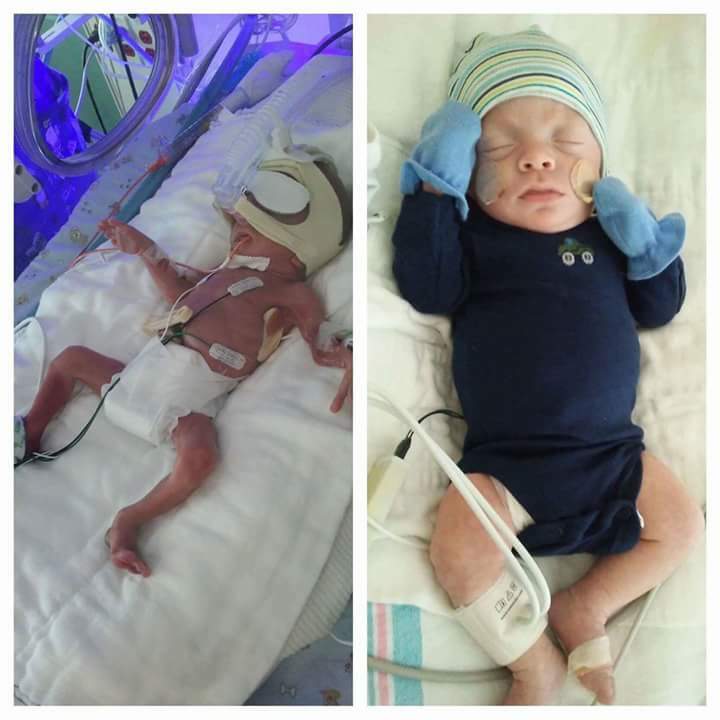 Finally home, the Fergusons are now adjusting to life with a micro-preemie. As for Joselynn, she has a totally new outlook while on the clock at McDonald’s. She plans to share her story with customers, and educate them on the importance of their donations to Ronald McDonald House. She hopes that in telling her story, she can help other families just like hers.